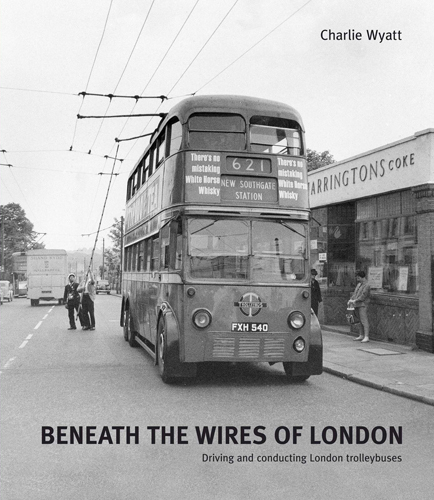 Charlie Wyatt began as a conductor on London’s trolleybuses in 1951 and became a driver in 1955. He worked throughout his trolleybus career at Finchley depot in north London, here he was on trolleybuses until their last day there. With an exceptional memory, backed up by official documents from the time, Charlie recounts what it was like to work beneath the wires of the largest trolleybus system in the world and brings in many of the amusing incidents and characters he encountered.